If you’re like me, you’ve accumulated a handful of Google accounts over the years. Remembering which contacts are stored in which Gmail address book can be a pain. Now FullContact is fixing that with a new cross-account sync feature. The contact management service, which is available on the Web, iOS and as a Gmail plugin, will now keep all your connected Gmail address books in sync with each other. It’s a premium feature, so you’ll have to pay $9.99 per month or $99 per year for a subscription that also includes benefits like real-time sync and support for up to 25,000 contacts (the free version supports only 5,000 contacts and syncs once per day). Multi-account sync is a particularly useful feature if you’re worried about losing access to valuable contacts when you switch jobs and lose access to a corporate account run through Google for Work. 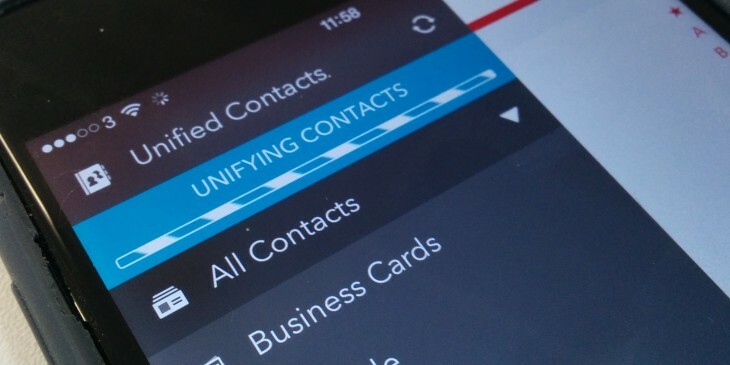 Now, all those contacts will be in your personal Gmail account too. Neat.